One of the most popular temples in India, dedicated to the Indian saint Sai Baba the Shirdi Sai Baba temple is one of the celebrated temples. The saint who lead an ascetic life, preached the importance of realization of the self. This particular temple is a 1952 construction by a devotee. It also functions as the headquarters of the All India Sai Samaj. On Thursdays, the temple has special bhajans and functions, given this is the day of the Saint. On other days, it is likely to be less crowded. A fabulous place to meditate, you will find several people here doing some soul-searching here. The entire experience is very satisfying. Given its location in the heart of the city, the temple can also be easily accessed. The Prasad, a devotional offering made to the Lord typically consisting of food that is later shared among devotees here, is very delicious too. Also, visit the popular attractions in the city by following Chennai itinerary 1 day. 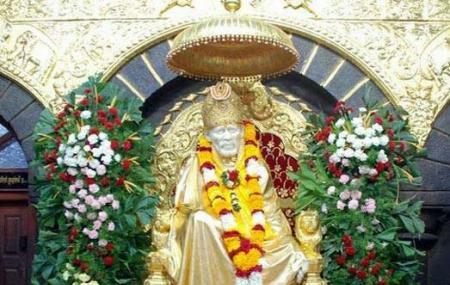 How popular is Shirdi Sai Baba Temple? People normally club together I I T Madras and Tirumala Tirupathi Devasthanam while planning their visit to Shirdi Sai Baba Temple. People also prefer to start their day with Shirdi Sai Baba Temple. One of the oldest Baba temples in the city and now renovated to a big level. Bit more spacious now on the inside. Neatly planned. One can always find high amounts of people in here. The temple itself is pretty well maintained with tile and granite flooring mixed. Nice ventilation as well with air-conditioning. The area behind the main Baba statue is maintained well too, the place were the holy tree and and two halls are present. The one hall in the bottom has one more Baba statue, kind of like a function hall. Outside that, stairs will lead u to the first floor where there is meditation hall, which is really good, with air-conditioning. There's now also a prasadham/annadhaanam distribution area above the temple separately, where u can sit and eat and is quite spacious too. The street in which the temple is located is still a very busy road and traffic piles up always. So one definitely has to plan parking about your vehicles be it bike or car in some other street or road and better walk to the temple instead. Overall one of the oldest and best Baba temples in the city. Calm and peaceful place. I think only in this temple,people can touch saibaba idol.I love this place especially because of this. Thursday will be so much crowd. And on terrace they will provide free food for all devotees. Ever thought of an evening in a temple? You get yummy hot prasadam. Only if there is a big crowd it's difficult getting a second helping ! Go here Thursday evening for the best prasad in town ! Nice place to pray and have darshan of Sai Baba. There is a meditation room on first floor for undisturbed peaceful prayer. There us big rush of devotees specially on Thursday and festivals. In the backside bhajan room one can sit and sing bhajans. Discourses are done in the left side room. Literature and bhajan CDs are also available in a shop. Visits to Shirdi is also organised from here. There is a separate shop for pooja saamagree and pooja items in the premises.